Christmas is the giving season. We have seen the Christmas holiday evolve into a season of secular gift giving for many people. Sending a Christmas gift basket to thank a client for their business, to wish a friend good cheer, or to let family members far from home know that you thinking of them, has become quite customary among people with a variety of different religious and ethnic backgrounds. 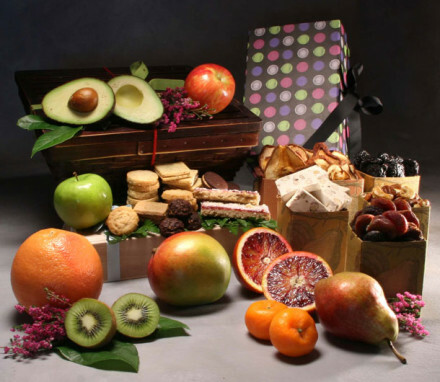 At Manhattan Fruitier, we have designed Christmas fruit baskets and holiday gift baskets to suit any kind of winter holiday gift-giving. 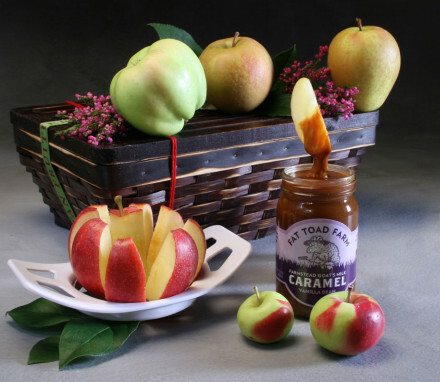 Every year we create several new gift baskets that are inspired by the foods of the season. So if you like sending different holiday gifts every year, you will always find something new! 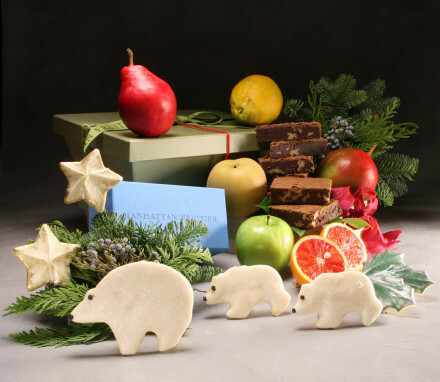 In December, we also decorate all of our year-round food gifts with a garnish of juniper, cedar and noble fir to reflect the spirit of the winter holiday season. So whatever gift you choose: a specially-designed Christmas gift basket or one of our regular gift baskets, they will look appropriately seasonal. Bringing a gift of food for the Christmas holiday has a long tradition. When fresh fruit was hard to come by, children might happily receive a Christmas gift of a single orange, for example. In many countries, the humble fruit cake made of candied dried fruit and nuts was a popular gift to celebrate Christmas in times past. In those days, making fruit cake was a way to preserve fresh fruit when it was available. It is still considered a tradition in many Christmas baskets. 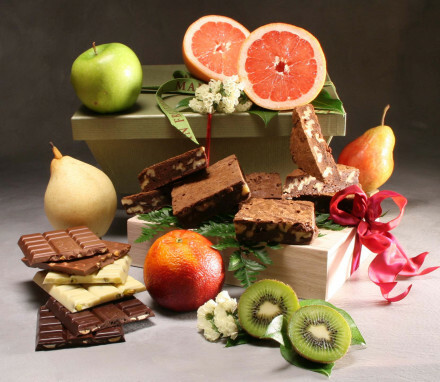 But now that fresh fruit can be found readily in most places, Christmas fruit gift baskets are more likely to contain fresh fruit rather than fruit cake. 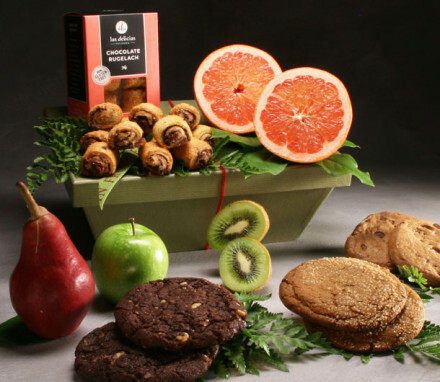 Today gourmet holiday gift baskets can include all manner of food goodies from fresh fruit to chocolates, cheeses, meats, and baked goods, and can range from the familiar to the exotic. 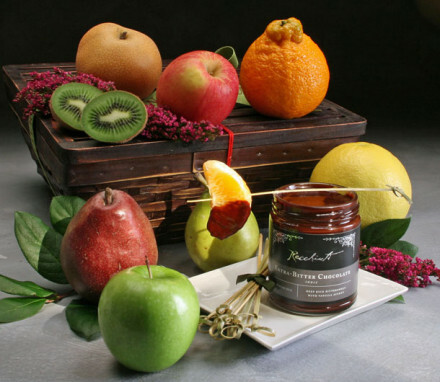 At Manhattan Fruitier, we like to offer many choices so you can find just the right happy holidays gift basket to send! 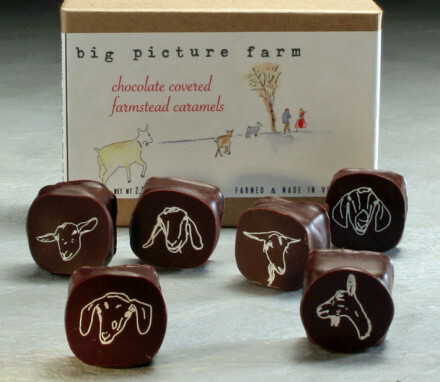 Do you want to give a Christmas gift to a chocolate aficionado? A cheese connoisseur? A devotee of prosciutto or dry-cured salami? Perhaps you’d like to send a holiday gift basket to someone with special dietary needs or to someone who only eats organically grown food. The foodie on your list may want to be surprised with something new and exotic to taste, while Aunt Maisie may look forward to seeing her favorite tried-and-true treats in her holiday fruit basket. Or you may need to send Christmas baskets to people whose personal tastes you do not know well, such as business clients. 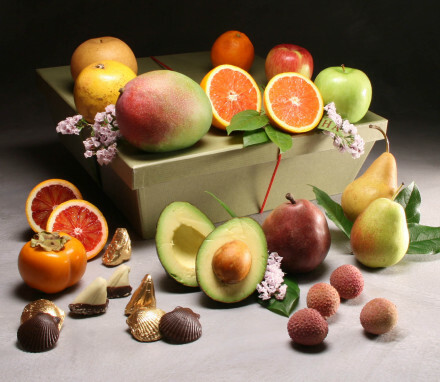 If you are not sure what to send, we recommend sending fruit gift baskets with a sweet and a savory addition. This is certain to please anyone on your holiday gift list. Our Christmas gift baskets range in size from small (perfectly sized for one or two people) to large (perfectly sized for a family or office). We want to make it easy for you to find just the right holiday gift in just the right size!